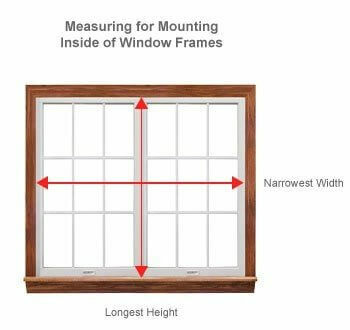 Real Blinds Superstore wants to give you the most accurate free estimates, and those estimates come from precise window measurements. With some of our measuring tips here, the job is easy to do yourself. For custom-fit blinds, the first step is deciding how you want them mounted: inside or outside the window frame. Once you decide on the look you want, you can measure for any type of blind and obtain a perfect fit. You will need a steel tape measure and, of course, a pen and paper to record your measurements. For more help, Real Blinds Superstore invites you to call us locally or toll-free. 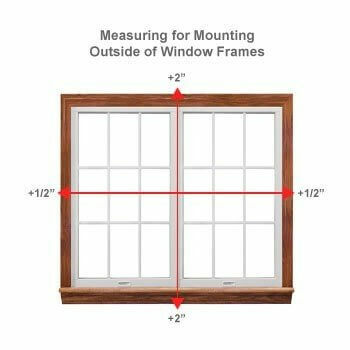 Once you have your window measurements, you can easily email them to us. 1/2″ past each side, +2″ to top & +2″ to bottom. 4″ past each side, +2″ to top, +2″ to bottom or 1″ above the floor. 20” to 36″ past each side, +2″ to top, +2″ to bottom or 1″ above the floor. Still need help? Call us, and we will measure for you.